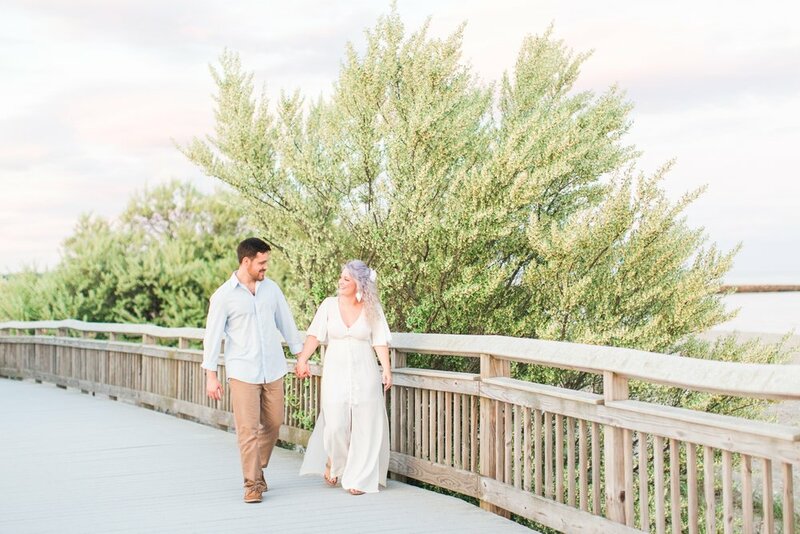 As a Connecticut-based wedding and engagement photographer, I'm always thankful when Mother Nature cooperates and gives us beautiful, golden, glowy light for our clients' photo sessions here in New England! 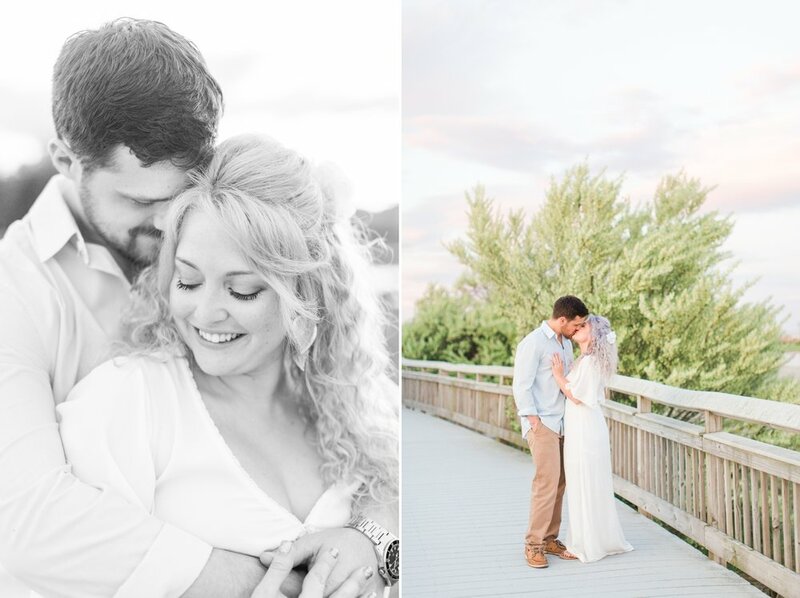 I felt especially thankful during Vicki and Kevin's engagement session at Walnut Beach in Milford last weekend. 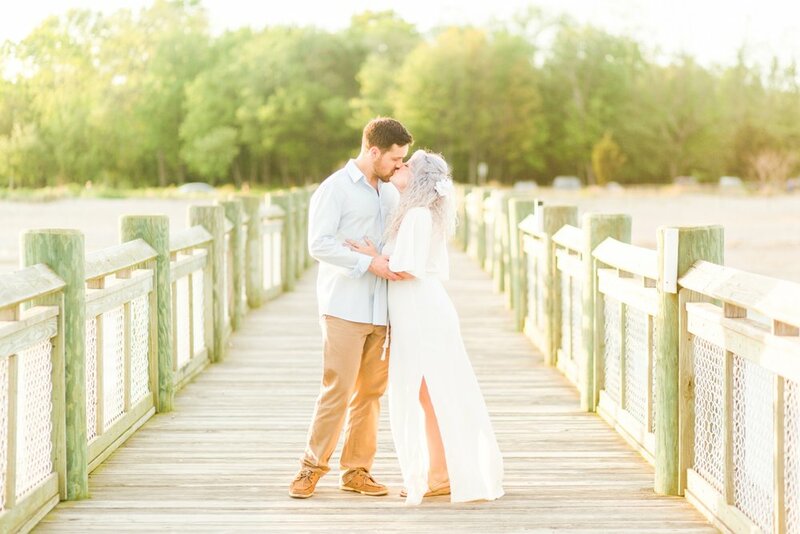 The evening sunlight was purely magical, which only further highlighted the love that these two share! 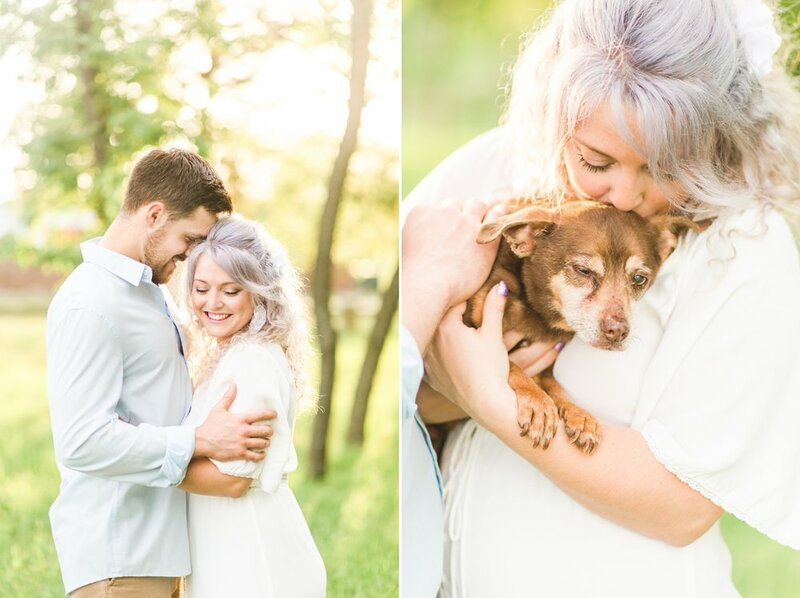 They brought along their pup Sammy, a 16-year-old Chihuahua mix, to join them in some of their engagement photos. 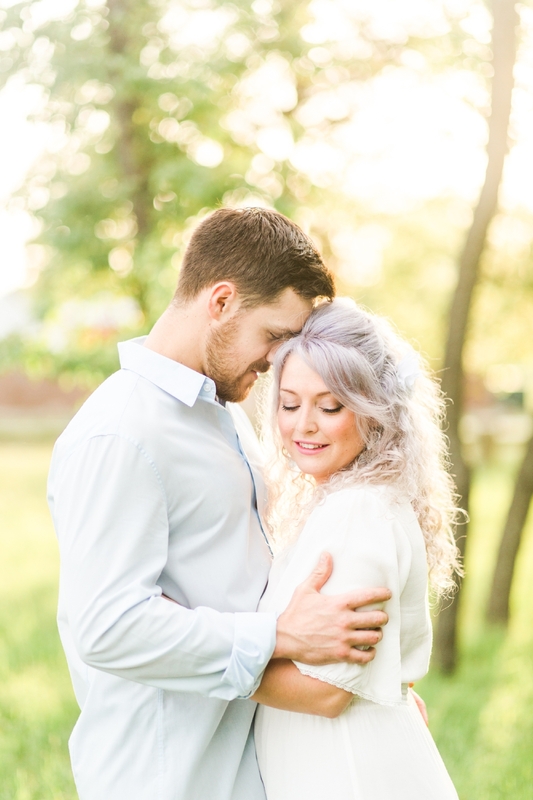 Vicki's bubbly personality perfectly compliments Kevin's calm demeanor, and I just adored how they were both full of smiles for their entire session! About a year and a half ago, Vicki and Kevin took a trip to California for Christmas to visit Vicki's uncle. During their West Coast visit, they drove along Highway 1, making pit stops along the way. They took a day trip to Napa and Calistoga, since Vicki's uncle lives nearby, and grabbed bottles of wine for their trip ahead, before driving down to Santa Cruz for a night. During their vacation, the two intermittently met up with Vicki's uncle who also happened to double as a great tour guide, giving them advice for each of their stops along the route. Kevin and Vicki spent the third day of their vacation in Half Moon Bay where he surprised her by booking a suite at the Ritz Carlton, which sits on a cliff by the ocean. Just before sunset, he brought her near the edge of the cliff overlooking the ocean to watch the sunset. While they drank their bottle of wine watching the glow over the horizon, Kevin insisted Vicki stop taking photos so she could enjoy the view. 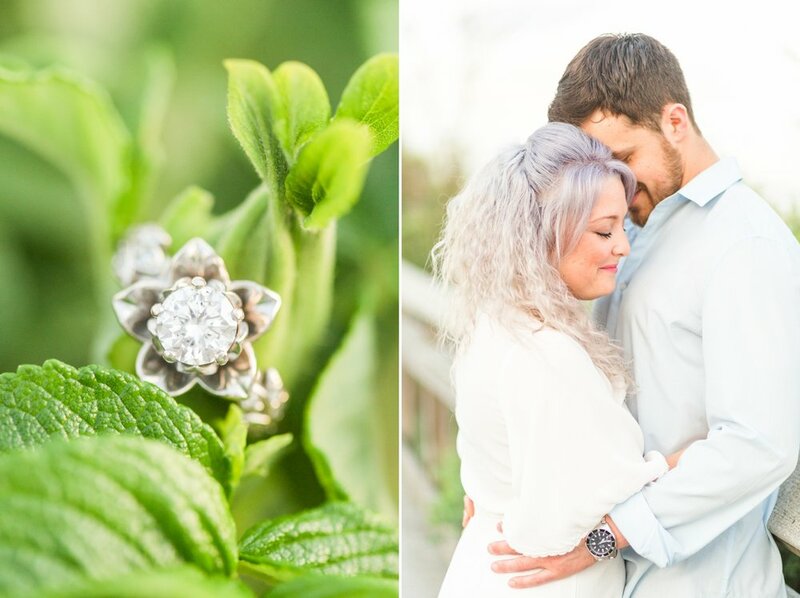 After a few moments, he turned to Vicki and told her how much he loved her before getting down on one knee, opening a ring box which he had magically pulled from his pocket without her noticing, and asked Vicki to be his wife! The two spent their remaining vacation in San Francisco, Sausalito, Sebastopol and later traveled to Occidental for a concert on New Year’s Eve. 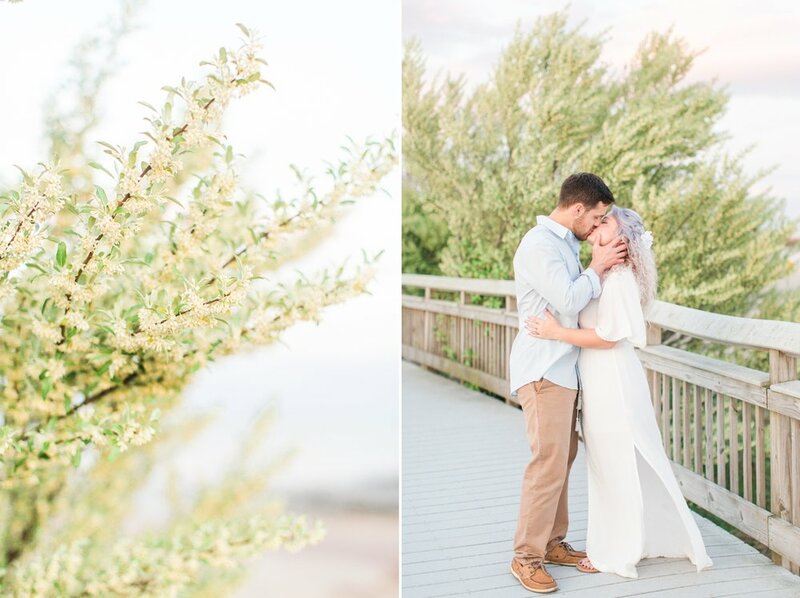 They were sure go hiking at Muir Woods, walk along Stinson Beach, and travel out to the Lighthouse at the National Seashore (where they even saw whales migrating!). Could you imagine a more romantic vacation?! 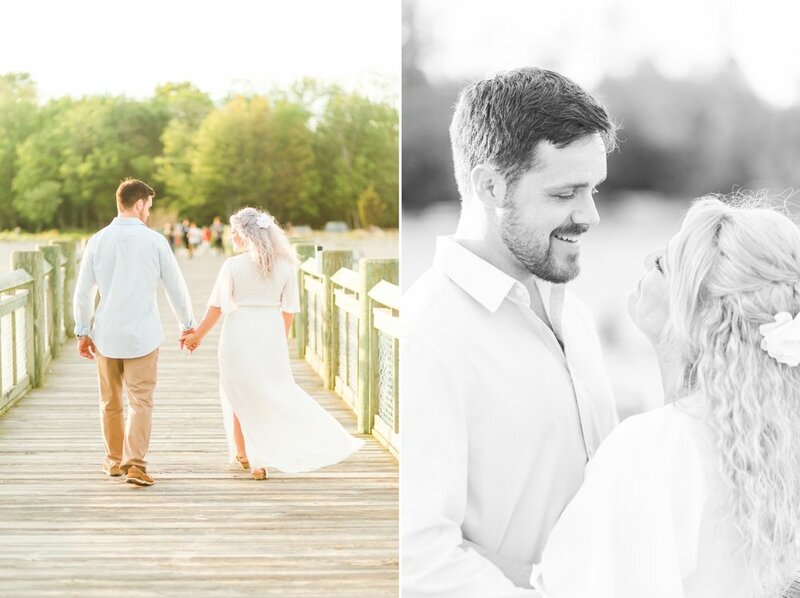 Vicki and Kevin are getting married at The Lake House in Wolcott, Connecticut this September! 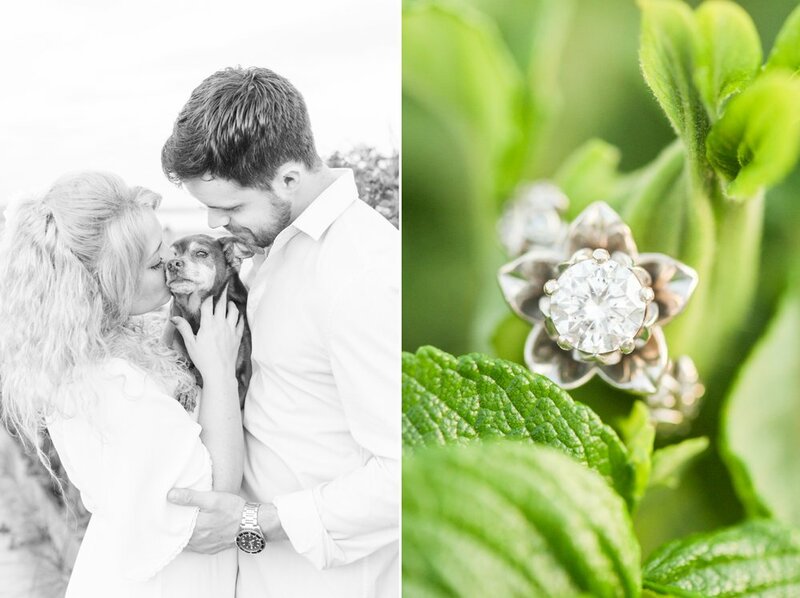 If their engagement session is any indication of how wonderful their wedding is going to be, we know there will be so much to celebrate! Vicki: "The first time I met Kevin. We had randomly met through mutual friends while out at a bar one night. I went home and told my mom about him and how I had just felt a serious connection. 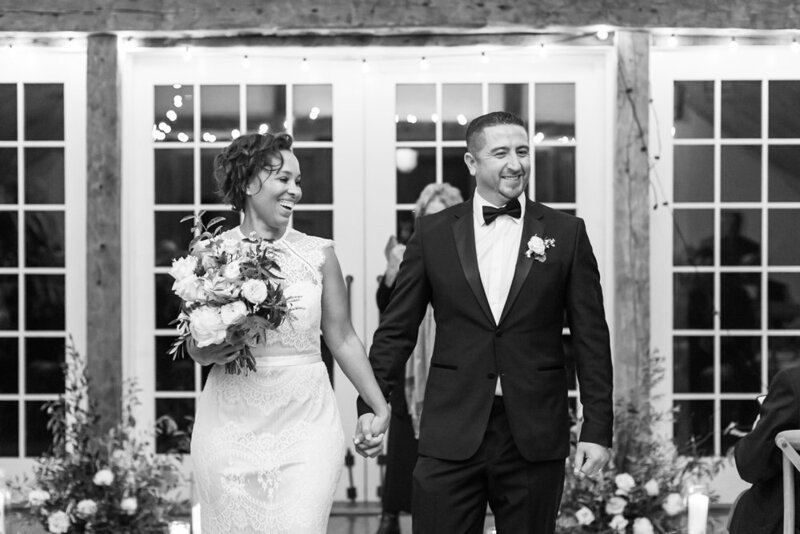 Although we didn't go on a date for few months after initially meeting, I had seen him out a couple of times and it solidified that connection." Kevin: "The first night we met. Vicki and I were having some small talk and we just connected on a completely new level. Even though neither one of us said it, I could tell that we both felt it." Vicki: "I love Kevin's passion. He stops at nothing to reach his goals and constantly better himself and I really admire that." Kevin: "Vicki is 100% the most selfless person I have ever met. She is so passionate about being there for the people she loves and even people that she barely knows." Vicki: "I'm really looking forward to having all of the people we love most, including friends and family, join us to celebrate and have a great time." Kevin: "Getting all of the people that we really care about under one roof and having one hell of a party." Vicki: "Creating new adventures while continuing to spend time with my best friend." Kevin: "Getting the most out of life with and exploring everything it has to offer with my true partner." 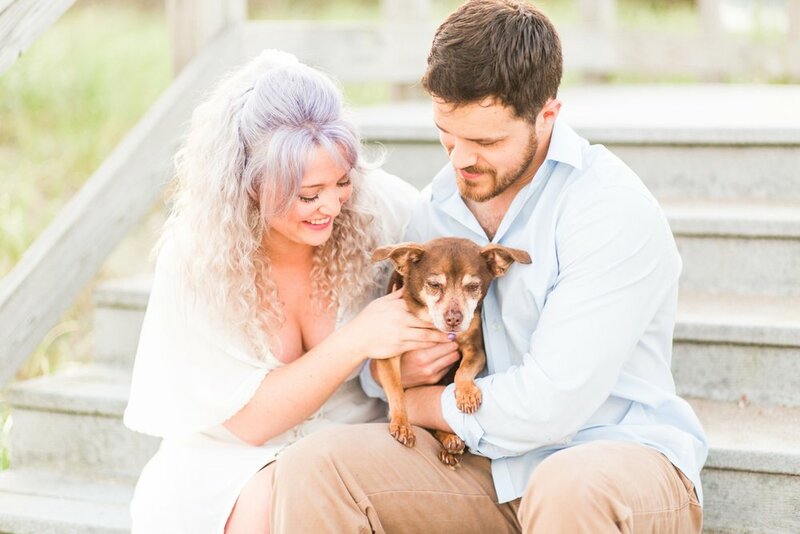 I hope you enjoyed this Walnut Beach engagement session! 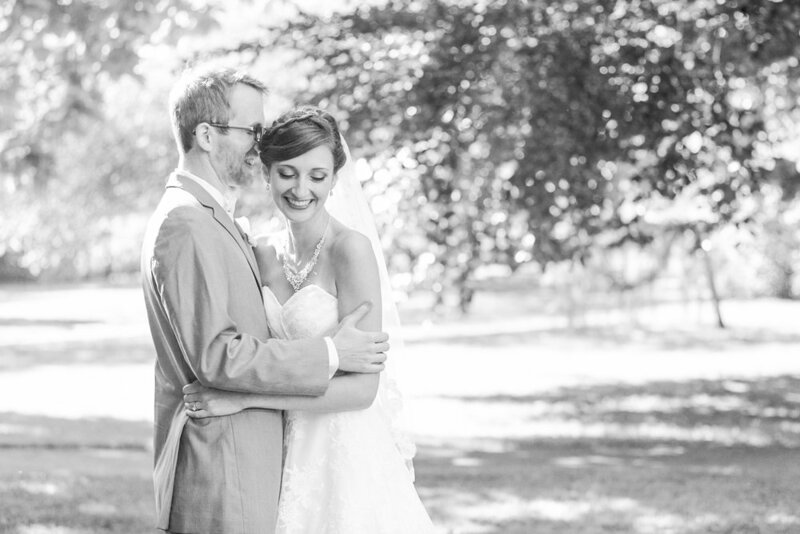 Do you know Vicki and Kevin? Show them some love by commenting below!